What do all up and coming kid pop stars have in common? We'll give you a hint: it's not a specific style, fashion preference, or particular talent. They also don't all have the same showbiz agent representing them, and getting them the roles that catapult them to superstardom. What makes all those famous kids such big successes is that they're super cool, and they always have a super cool hairdo to match! 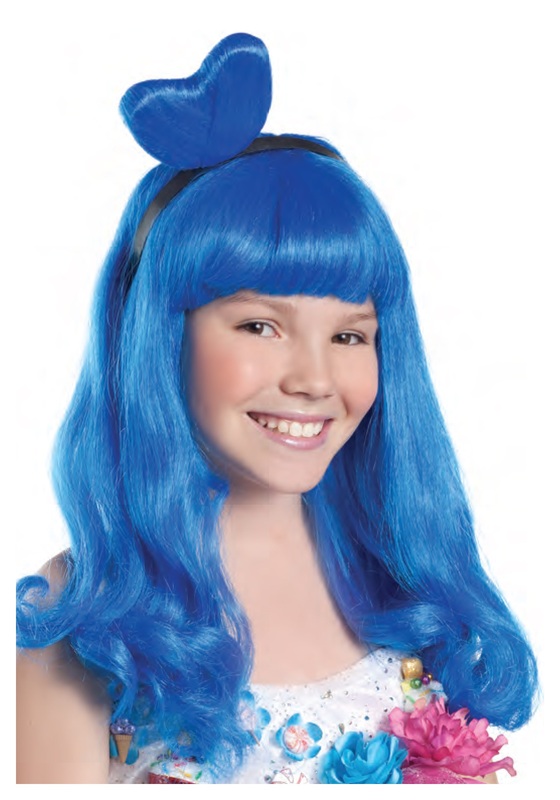 Your little gal doesn't need any help in the "cool department" but getting her this snazzy California Blue Candy Girl Wig could make her shine like a Hollywood star! The bright blue bangs and wavy hair on this wig will add plenty of cuteness to her look, and it even includes a matching heart headband to show she's as sweet as sugar. Her costume will look cool enough to make her the next pop sensation! Great accessory for the Katy Perry outfit. Totally makes the costume!